At Discount Auto Tunes we do more than just quality car stereo installation. 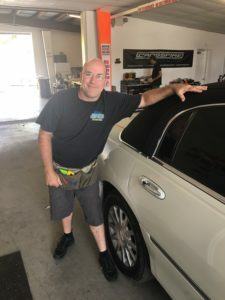 We offer a wide array of other car customization services to meet the dynamic needs of the people who choose to call Pinellas County home. And this includes top of the line window tinting services: automotive, home, office, and marine. Our pro’s have tinted vehicles new and old. Whether if you have a classic car that you would like to hire us to tint the windows, or if you have a brand new luxury vehicle you can count on our window tinting services to provide you with the absolute highest level of quality imaginable. Florida’s sunshine is more damaging to the skin than other states because we are closer to the equator. Keeping your skin protected is imperative for longevity, and not just while you are at the beach. 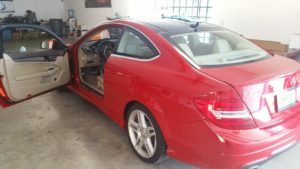 Window tinting services will protect your skin for the 2 hours that it takes to travel to and from the beach (let alone everyday that you drive to work). Call to schedule an appointment (or drive in). Top professional window tint techs. 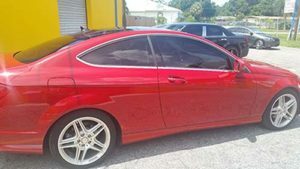 Luxury quality tint and installation. Contact us today (or just come on in) for a quote of our window tinting services. You can stop by anytime during regular working hours to get your estimate and appointment. Fast and easy. And best of all the price is affordable. The cost for window tinting varies slightly from vehicle to vehicle. Some vehicles have more windows than others, while other vehicles may only have 3-4 windows. *Ask us for an exact quote.